I recently did a little digging on the Florida Bar website to try to understand some of the restrictions on lawyer advertising contained in the Rules of Professional Responsibility. I even read through their handy-dandy Handbook on Lawyer Advertising and Solicitation. Some things are crystal clear: The Rules apply to all forms of communication from lawyers to prospective clients. They apply to every type of communication: in person, in print, by telephone, or via the Internet, including but not limited to: newspapers, magazines, brochures, flyers, television, radio, direct mail, electronic mail, law firm websites, any other websites containing lawyer advertising, banners, pop-ups, social media, and videos. Everything. Period. We also can’t promise results; we can’t make unverifiable claims about past results; and we have to put certain disclaimers on all advertising materials. Other Rules are not so easy to decipher. One such Rule is Rule 4-7.18 which restricts lawyers from most initial contact with prospective clients. Specifically, a lawyer may not solicit (or have someone else solicit for them) a prospective client with whom the lawyer has no family or prior professional relationship (that means you can’t even hit up your friends for work). The term “solicit” includes that you make the first contact, whether in person, by telephone, fax, or email. In other words, lawyers can’t reach out directly to a prospective client to ask them for their business. The rule expressly extends to how we communicate with (and are communicated about by) referral sources. There are a few exceptions. Written communication with a prospective client that is clearly marked “advertisement” in big red letters, for example. Notably, where testimonials are given on social media or on review-specific web sites like Avvo and Lawyers.com, the lawyer does not have control over what is said about them. Often, a profile exists for the lawyer that the lawyer did not ask for, and reviews are collected anonymously. It can be hard to gauge whether such a speaker is “qualified” or has “actual experience” working with the lawyer. Nonetheless, it may be considered “lawyer advertising,” especially if the lawyer completed their online profile or responds to a review. Perhaps the hardest rule to interpret is Rule 4-7.14, which regards potentially misleading advertisements. The Rule requires that advertisements that are subject to reasonable varying interpretations are prohibited unless they contain sufficient information to clarify the potentially misleading nature of the advertisement. Also prohibited are advertisements that contain information that is literally accurate but could reasonably mislead a consumer. The test for whether something is potentially misleading is subjective. The only way to know for sure if your web site or other advertisement contains objectively verifiable and not misleading is to submit it to the Bar for review prior to publication, a process that can take weeks or months. 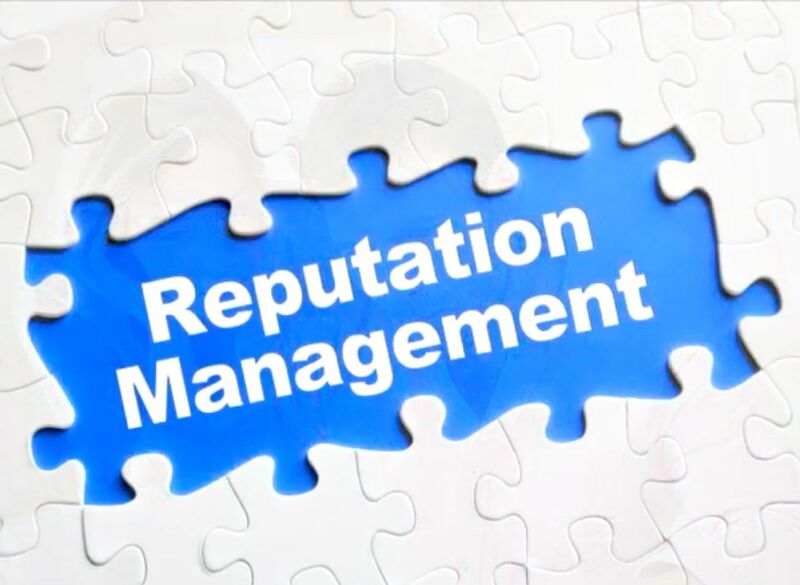 The biggest problem not directly addressed by the Rules of Professional Conduct is online reputation management. Specifically, in a digital age, how do you market without violating the rules against soliciting? Think of online reputation management in terms of building a referral network. You can use social media to make connections and build your referral network faster than you can in person and without violating the Rules. Focus on getting to know people who are in a position to send business your way: lawyers in other practice areas or different geographic markets, other professionals like doctors, financial advisors, CPAs, etc. You can easily build a local, regional, or even national social media network of people who are interested in the same topics you are. Posting a mix of relevant third party and personal content to groups on Facebook, LinkedIn and Google Plus goes a long way. First, build yourself a client avatar: a description of who exactly it is you want as your ideal client. What kind of work do they do? Where do they work? Do they own the business or work for someone else? What kind of car do they drive? Are they married? Have kids? Own a home? How old are they? Where do they live? Once you have a clear picture of who your ideal client is, ask yourself this: who do I know that knows this person? That person is in a position to refer your ideal client to you. Get to know them online. Send a LinkedIn request or set up a Facebook group and invite them to join it. Next, become seen as an expert in your practice area. Write blog posts for your website on changes in the law that your clients and referral sources should be aware of. Put together a series of purely informational videos on your practice area and post them on YouTube (and your website) to share with others, especially your referral sources. Then master social media. You should be posting something – a relevant news article, for example – every single day on sites such as Facebook, Twitter, Google Plus, Instagram and/or LinkedIn. Every week or so, upload a video you made or a blog post you wrote. You can cross-post to multiple social media sites via apps like Hootsuite and Everypost, but try not to make that the only way you post since each platform has specific features (like Twitter’s 140-character limit) that may make it awkward to cross post certain things. And remember your audience: Facebook is friendly and social, where LinkedIn is all business. You should also pay attention to sites such as Google Places, Yelp, Avvo, Better Business Bureau, and Lawyers.com. You or your firm may have a profile and you don’t even know it. Keep your contact information up to date on those sites, and make sure you know what is being said about you and where. Finally, respond to reviews. Even though the Bar Rules prohibit you from saying anything about the client who left the review or their matter, you should at least let the client know they were heard. Whether the review was positive or negative, respond. Surveys show that having a negative review hurts you less if you reply timely to the negative review. This entry was posted in Guest Bloggers, Marketing, Savvy Solos, Social Media, Solo & Small Firm Practice and tagged law firm marketing, Meehle & Davis, Professional Responsibility, reputation management, social media, Suzanne Meele. Bookmark the permalink.